so why not use up my last bag of cranberries and add it to a batch of cherry pie filling…so that’s exactly what I did. 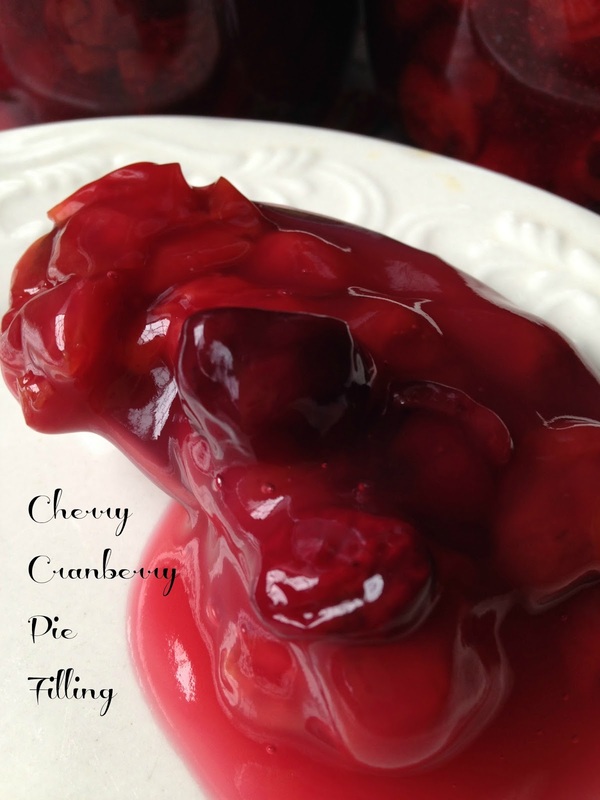 Cherry Cranberry Pie Filling turned out fantastic! The flavor from the cranberries was subtle enough that it didn’t take over and yet the cranberries added just the right amount of tartness with the sweetness coming from the cherries. 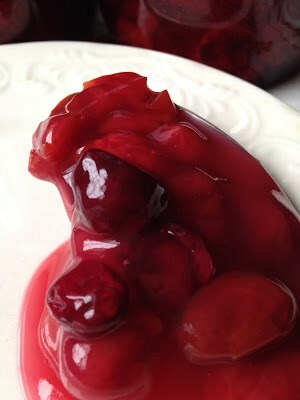 With one bite of Cherry Cranberry Pie Filling and you’ll be asking yourself, hmm what is that. 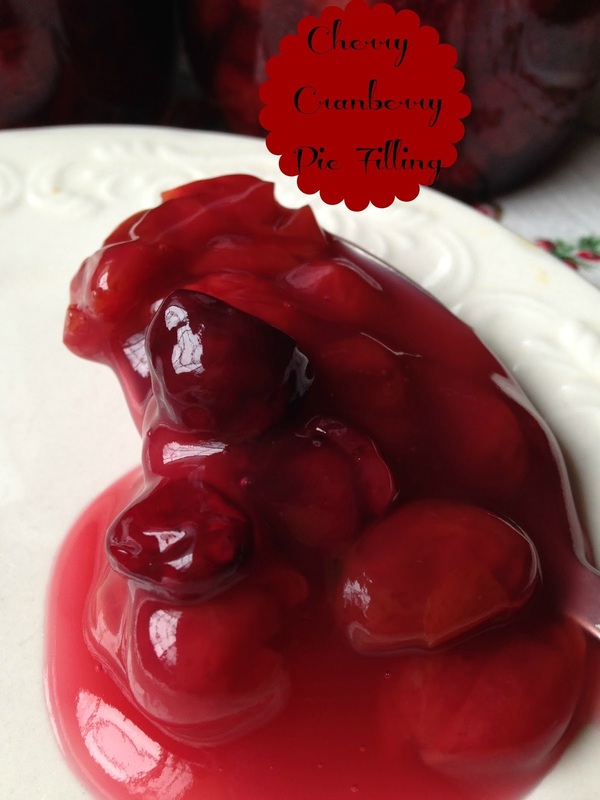 Homemade Cherry Cranberry Pie Filling is the Crème de la Crème of cherry pie fillings. Once you make your own pie fillings and start using homemade pie filling in all of your favorite recipes, you’ll never go back to canned. I recently bought a ten pound tub of Door County Cherries from Cherrylands Best located off highway 41 in Little Chute Wisconsin. If your driving down 41, you can’t miss it….It’s the building with the huge Cherry out front! The cherries came already blanched and pitted, so half the work was already done for me. The cherries came frozen so I let them thaw in my refrigerator for a few days and let the cherries come to room temperature before I used them. I had recently made Pear Cranberry Pie Filling and had some extra cranberries so I added them too. The end result was excellent. Select cherries, fresh or frozen. Wash canning jars, bands and lids in soapy water. Rinse well. Wash and sort cherries. Pit cherries with a cherry pitter. Blanch cherries and cranberries, (up to 7 cups at a time) in a large pot with at least one gallon of boiling water. Boil each batch 1 minute after water returns to a boil. Drain, keep hot cooked fruit in a covered boil. Make liquid for filling; Mix clear jel with sugar. Add water or cherry juice. Stir together. Stir and cook over medium-high heat until mixture thickens and begins to bubble. Add lemon juice, boil one minute, stirring constantly. Fold the cherries and cranberries into the hot liquid. Fill the jars with cherry/cranberry mixture, removing air bubbles. Fill to within one inch of top of jars. Wipe any spilled filling off the top, seat lid and tighten ring. Process the filled jars in canner, keeping them covered with at least one inch of boiling water. Process for 25 minutes. Lift jars out of the canner, let cool undisturbed for 24 hours.